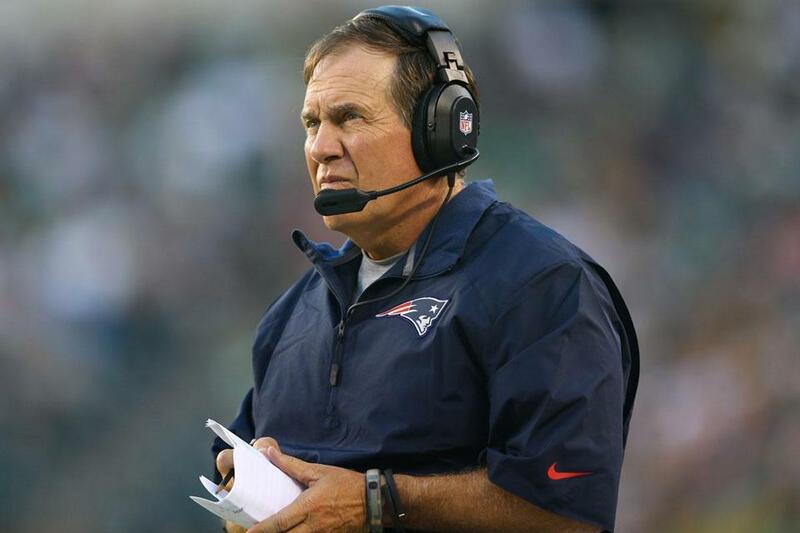 “We’re still grinding through it,” Bill Belichick said Saturday, a day after the Patriots’ 31-22 preseason win over the Eagles. The 2013 Patriots are far from a finished product, with three weeks of camp remaining before Bill Belichick has to whittle the roster from 90 to 53 players. 1. The kids are all right. The Patriots searched this summer for veteran receiver help, bringing Austin Collie, Laurent Robinson, and Chaz Schilens in for workouts, among others. They opted not to sign any of them, however, and it may have worked out for the best. Instead the practice reps have gone to a trio of rookies — Aaron Dobson, Josh Boyce, and Kenbrell Thompkins — and the youngsters have fared well so far. Thompkins, undrafted out of Cincinnati, has been one of the revelations of camp. He has worked his way into the starting lineup as the third receiver, and has developed the best rapport with quarterback Tom Brady of any receiver other than Danny Amendola. Brady and Thompkins connected four times for 23 yards on one drive Friday night, and two of the catches went for first downs (including a third-down conversion). Dobson had two catches for 35 yards against the Eagles, although he caught only two of eight targets and got a surprising number of snaps (44), suggesting that the coaches believe he needs the work. Boyce didn’t have a catch, although he would have had an easy 24-yard touchdown if Ryan Mallett hadn’t badly overthrown him. And undrafted rookie tight end Zach Sudfeld also has been impressive, making several acrobatic catches in practice and showing great hustle Friday night with his downfield blocking on LeGarrette Blount’s 51-yard touchdown run. 2. Tight end is still a big part of the offense. No, the Patriots can’t just plug in any of their current tight ends and expect them to replicate the production of Rob Gronkowski and Aaron Hernandez — they combined for 106 catches, 1,273 yards, and 16 touchdowns while playing 11 and 10 games last year, respectively — but tight end will still be a big part of the offense. The Patriots opened the game with two tight ends — Jake Ballard and Sudfeld — and while Ballard only played 12 snaps as he returns from knee surgery, the other three each played nearly half the game. Michael Hoomanawanui, who played more of a fullback/H-back role, played 34 of 72 offensive snaps, Sudfeld played 33, and Daniel Fells was in for 32. Fells had three catches for 27 yards, while Sudfeld had a nice 22-yard catch-and-run, breaking a couple of tackles in the process. The Patriots also used a three-tight end set on about a half dozen plays, and had all four tight ends on the field in their Jumbo package for Stevan Ridley’s 1-yard touchdown on the opening drive. 3. The running game is a strength. The numbers certainly were skewed by Ridley’s 62-yard run to open the game and Blount’s ridiculous TD run on a busted play, and the Eagles’ defense, transitioning to a 3-4 with a lot of undersized personnel, is pretty terrible. But the Patriots still ran for 248 yards on a ridiculous 8.0 yards per carry, no matter how you slice it. Nate Solder, Logan Mankins, and Ryan Wendell opened massive holes for Ridley and Blount on the opening drive, as they marched 80 yards for a touchdown without calling a pass play. Overall, the Patriots had nine runs of 8 yards or more Friday night, including a pair of 14-yard runs by Blount and a 12-yard run by Tim Tebow on a quarterback draw on third and 6. Brandon Bolden also added two runs of 7 yards. The Patriots still have to get right guard figured out between Dan Connolly, Marcus Cannon, and Will Svitek, but otherwise they should have one of the two or three best run-blocking units in the NFL. They also have a deep and multifaceted stable of running backs with Ridley, Blount, Shane Vereen, and Leon Washington. Vereen’s 13-yard touchdown catch in the corner of the end zone was a thing of beauty. If he can stay healthy this year, there’s no reason why he can’t have 40-50 catches. 4. Pass rush is still a concern. Now, the Patriots didn’t blitz much Friday night, and don’t show much other than the most basic defensive schemes in the preseason. The Eagles dropped back to pass 51 times, and the Patriots finished with three sacks and three quarterback hits, meaning the defensive linemen didn’t win enough one-on-one battles. Tommy Kelly had a nice game with a sack and a forced fumble, backup Marcus Benard continued an impressive camp with five tackles, a sack, and a tackle for loss, and Chandler Jones did manage one quarterback hit in just 11 snaps. But the pass rush was one of the Patriots’ biggest deficiencies last year — they finished in the bottom third of the league in quarterback pressure on a per-pass-attempt basis — and they didn’t show much, if any improvement Friday night. 5. The secondary badly needs Devin McCourty and Alfonzo Dennard. The defensive backfield could be improved after being an area of weakness the last few years, but not if the Patriots are forced to play without a couple of starters, as they did Friday night. McCourty, now the starting free safety, is coming back slowly after offseason shoulder surgery, while Dennard, one of the top three cornerbacks in the rotation, is banged up with an undisclosed injury. Steve Gregory performed capably in McCourty’s place in just 11 snaps, but cornerbacks Aqib Talib, Logan Ryan, and Marquice Cole struggled (cornerback Ras-I Dowling is also hurt). Overall, the Eagles’ top two quarterbacks, Michael Vick and Nick Foles, combined to complete 9 of 11 passes for 137 yards and a touchdown. Ryan, who played 81 of 86 defensive snaps Friday night (plus seven more on special teams), did have two pass breakups, but he badly whiffed on a tackle on Greg Salas’s 12-yard touchdown catch and likely isn’t ready to be in the four-cornerback rotation early in the season. Rookie safety Duron Harmon is also raw and likely just a special teams contributor at this point, while second-year safety Tavon Wilson, who also whiffed on Salas’s TD, has been one of the bigger disappointments of camp.